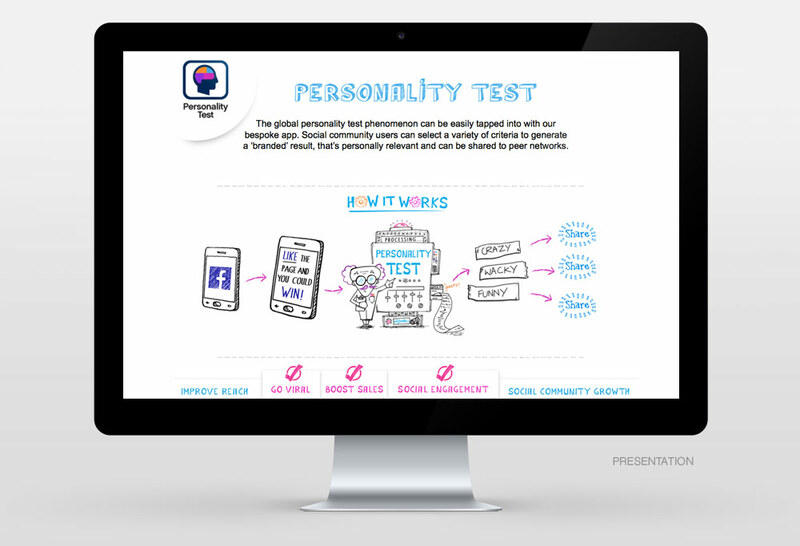 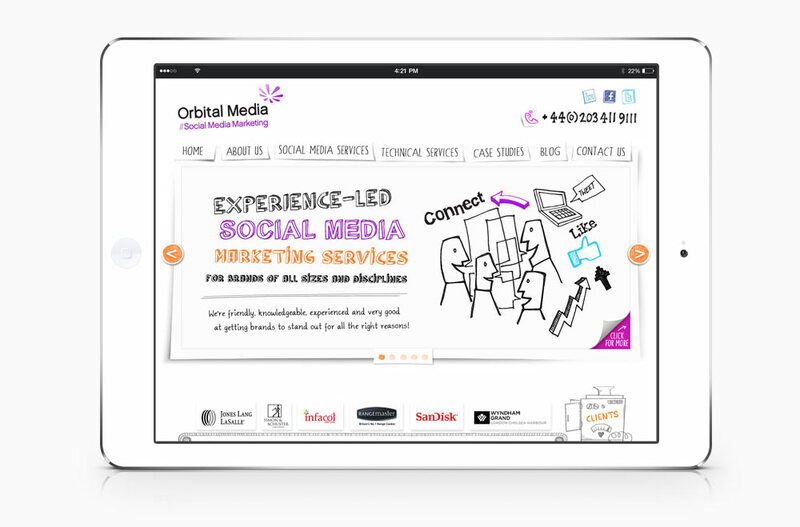 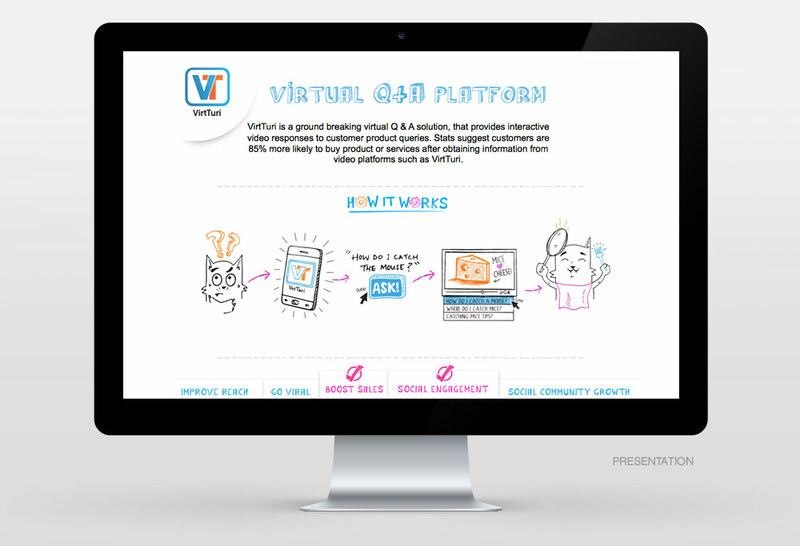 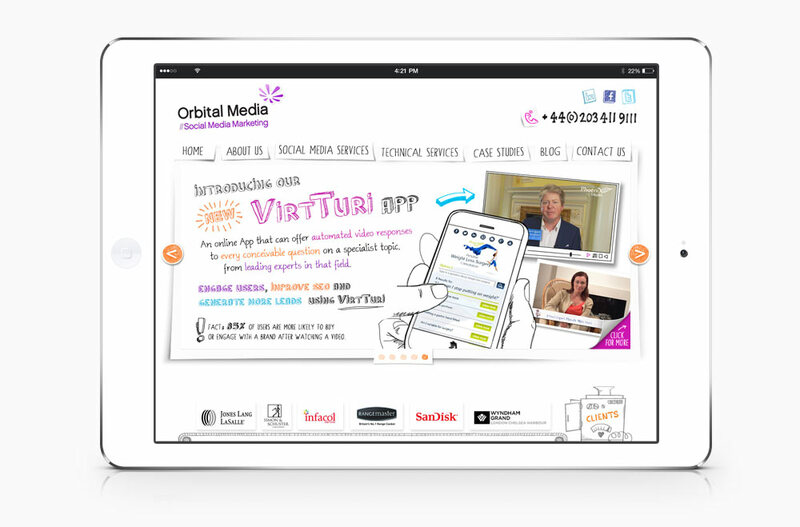 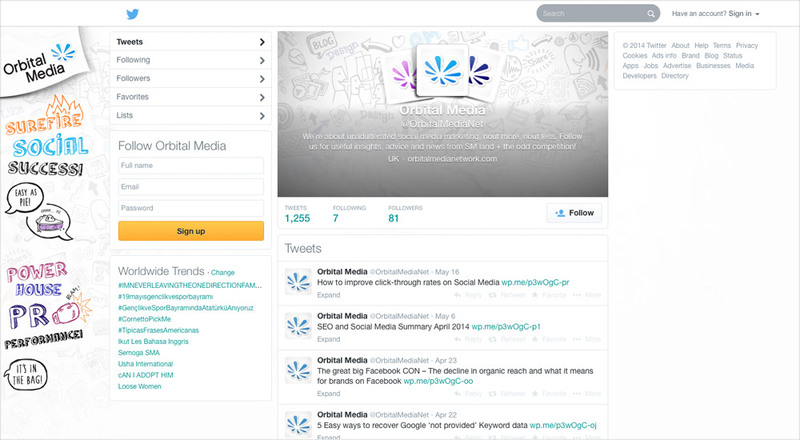 For social media marketing agency Orbital Media, we created a visual style and brand identity tool-kit around the theme of ‘personality’ and the communications, ideas and views expressed through social media. 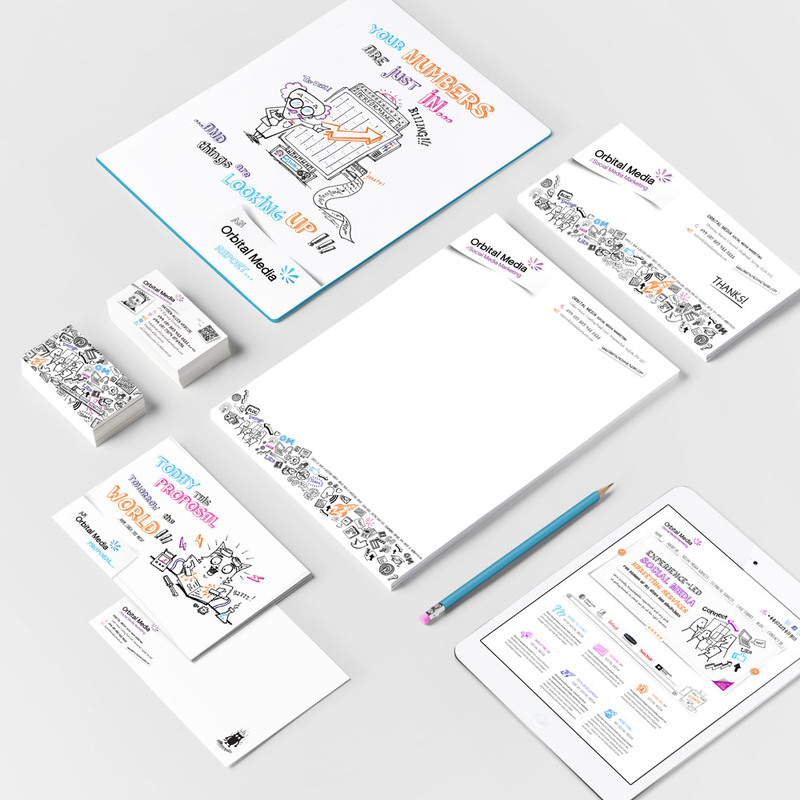 This lent itself to a hand-written and doodled approach for their new brand identity, using phrases, iconography and ideas associated with online social communities and the Orbital Media services. 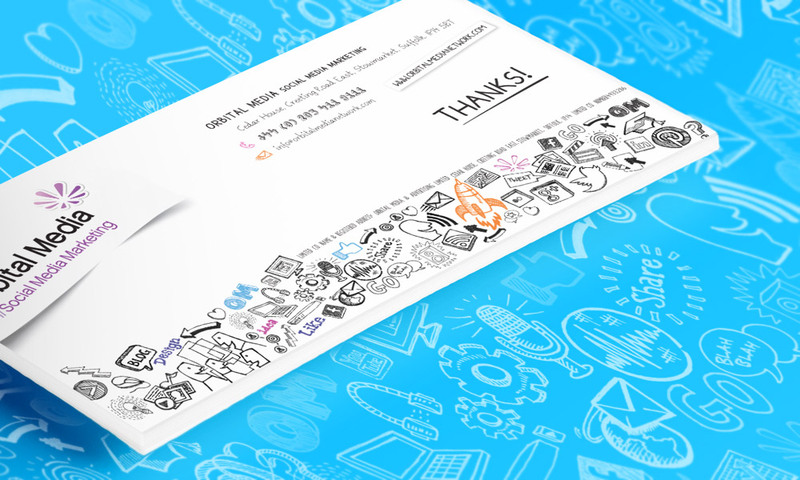 With bespoke doodles and icons created for consistency, the illustrative style was applied across web, digital presentations and printed stationery. 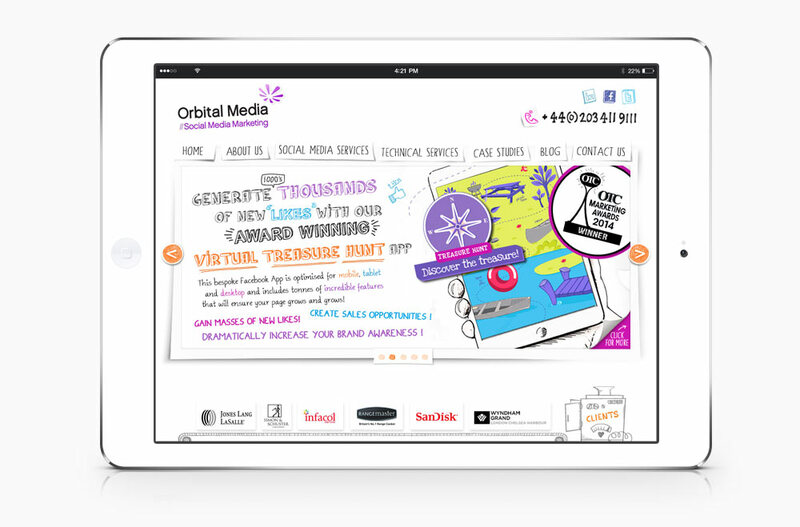 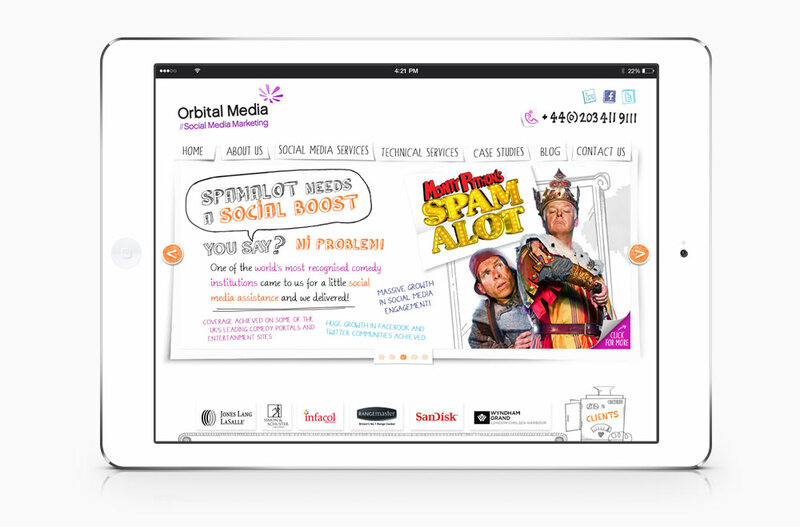 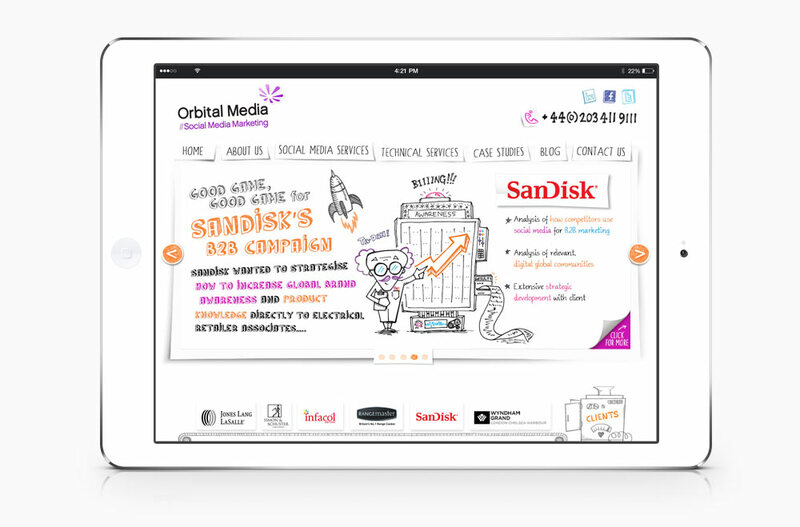 The vibrant colour accents, quirky headlines and constantly evolving illustrations has helped Orbital Media to establish a stand-out brand identity scheme and recognition within the industry.